Fine dust cannot be detected by smell or taste. The extremely small particles are only visible when they are present in the air in very high concentrations. The smallest fine dust particles penetrate deeply into the airways and can reach the bloodstream through the pulmonary alveoli. This can result not only in respiratory diseases but also disorders of the cardiovascular system, cancer, and other diseases. The precise determination of fine dust concentration in the air is becoming more and more important. This applies both to research and monitoring of air quality by environmental measurements, as well as for protection of health through fine dust measurements in schools, workplaces and in industrial processes. Sollae Systems’ serial Ethernet networking module provides a low-cost network solution for the fine dust monitoring system. This networking module enables a fine dust measurement device to get a networking connectivity quickly. 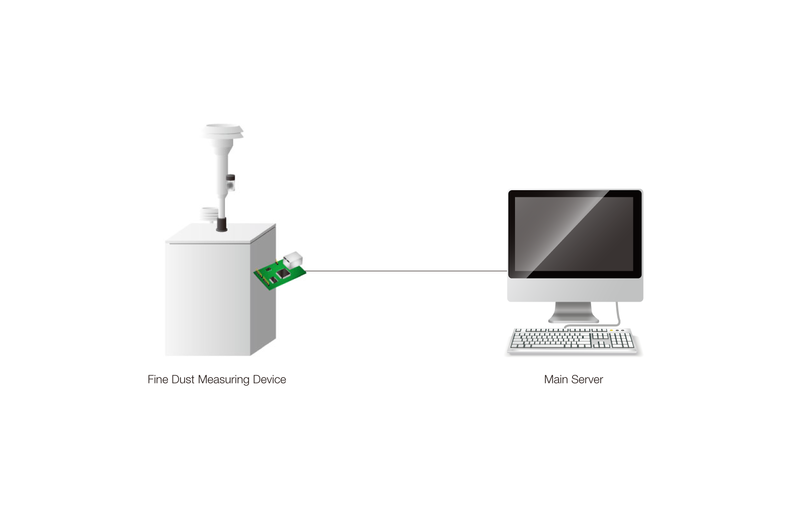 With this module, therefore, access to the environmental fine dust monitor is granted at any time via the network, and measurement data can be visualized or retrieved in real-time. It consequently facilitates remote monitoring of data for analyzing particle number concentration and particle size distribution of fine dust in the air.